Low pressure solar geyser systems are: low pressure thermosyphon close coupled units. 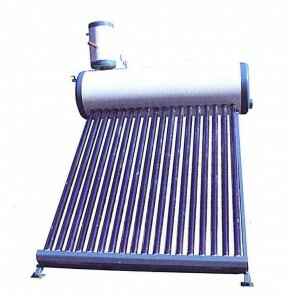 The solar geyser system usually comes as a complete unit and it’s just a matter of assembling the solar geyser system. A small feeder tank that sits on top of the storage cylinder supplies the solar geyser system. The feeder tank is open vented and therefore it is not connected and should not be connected to the main pressure. 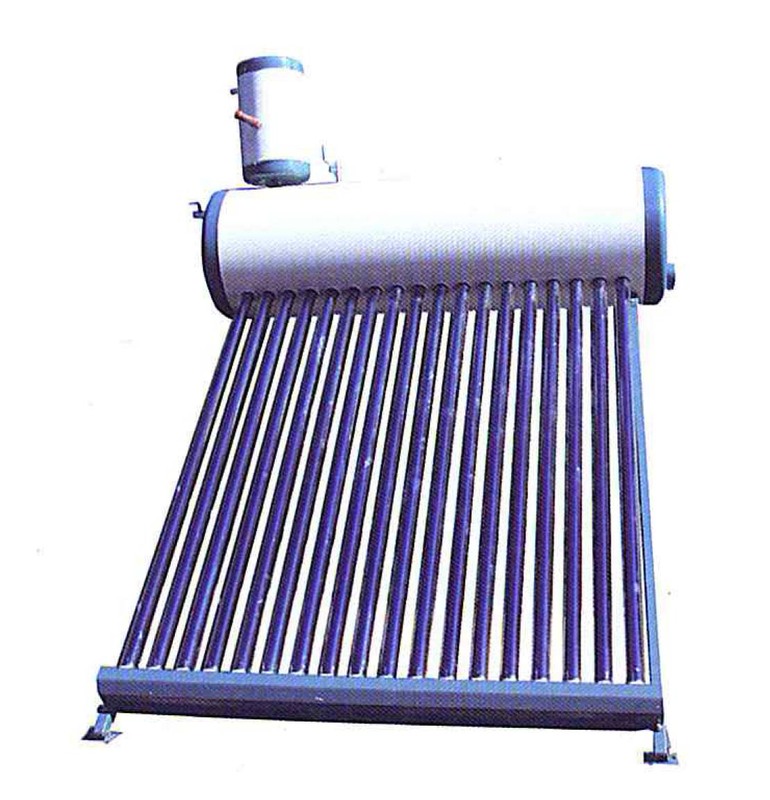 These solar geyser systems are generally used in climates with low solar radiation. When installed in climates with high solar radiation such as South Africa they become very efficient to the point of being extremely dangerous (scalding) if not installed or controlled correctly. Due to its simplicity this type of solar geyser system configuration is usually cheaper than other solar geyser system configurations. Due to lower pressure and stress on the tank and collectors it has a longer life than mains pressure solar geyser systems. This type of solar geyser system is lightweight. This type of solar geyser system can provide hot water without external power. This type of solar geyser system is highly effective. It has limited uses with modern plumbing systems, as it can only be used where there is small head of pressure. It can cause serious scalding if not installed or used correctly. The entire solar geyser system needs to be shut down even if one glass tube breaks.